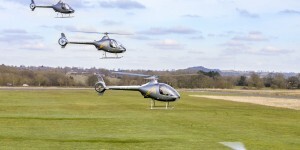 tunities to work as Professional Helicopter Pilots. 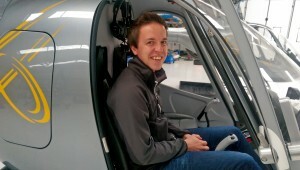 Previous winners of the Flight Instructor Scholarship have all been offered immediate full-time Instructing positions within the Academy, and winners of the Commercial Pilot Scholarship who have now qualified are flying ad-hoc charter for the company. This has also led to opportunities for the more experienced Scholarship winners to move up into the company’s Utility and Survey roles. n Sarah Bowen explained. “We launched the programme after identifying a need for pilots, particularly Flight Instructors to satisfy our own requirements. We had no idea it would produce such talented, high quality applicants, and has given us the opportunity to work with a fantastic group of individuals who strive to maintain our high training standards”. ructor (FI(H)) Scholarship worth £18k. The CPL(H) Scholarship will pay for all post-PPL(H) hour building, including the chance to fly some of the hours out of the company’s new base in Orlando, Florida, the CPL/ATPL theoretical knowledge course, as well as the complete CPL(H) modular flying course – a total of up to 140 hours flight time in the Cabri G2. The FI(H) Scholarship will cover the entire cost of the winner’s Flight Instructor course and will include a full time Instructing position on completion. The scope of funding and opportunity provided is unlike any other Scholarship of its kind. Entry criteria and application deadlines can be found at http://www.helicopterscholarships.com where you can also register your interest to join the 2016 or 2017 Scholarship programmes.